After lot of consideration I finally decided on Ras Malai. I had no trouble finalizing the recipe as I knew from our blogger Meet that Lavi‘s recipe comes out good. Then I got lot of suggestions from ICC members, so based on reading the I finally did on my own, which obviously must be the reason why my paneer wasn’t so soft as it must be. I have never tasted Ras Malai till now but for once. I knew I was going to take this and had to know how it tastes. So I know it was very soft and spongy. Let me explain how I went about with Step by Step pictures! I normally make Paneer at home using Lemon Juice. Once the paneer curdles, hang it in a muslin cloth till the water drains off. 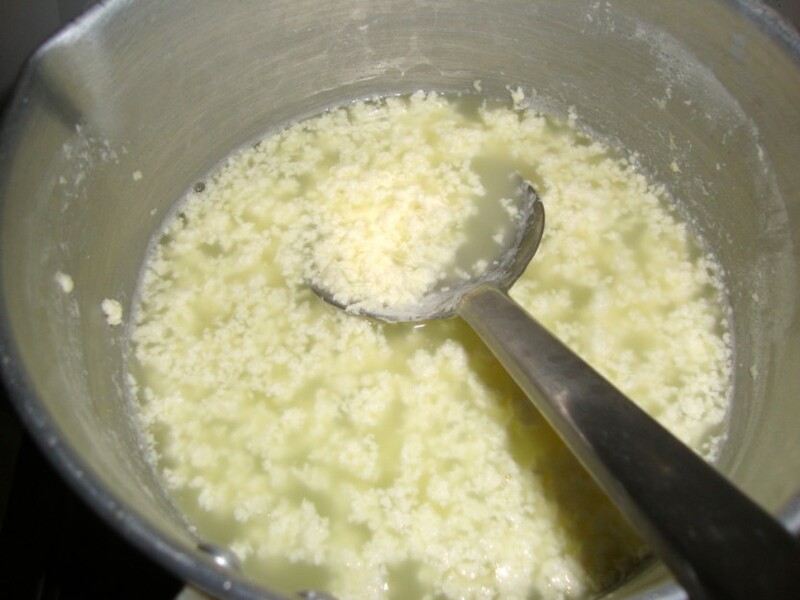 While the paneer is getting drained, have the Milk boiling, add sugar and boil till it reduces and becomes thick. 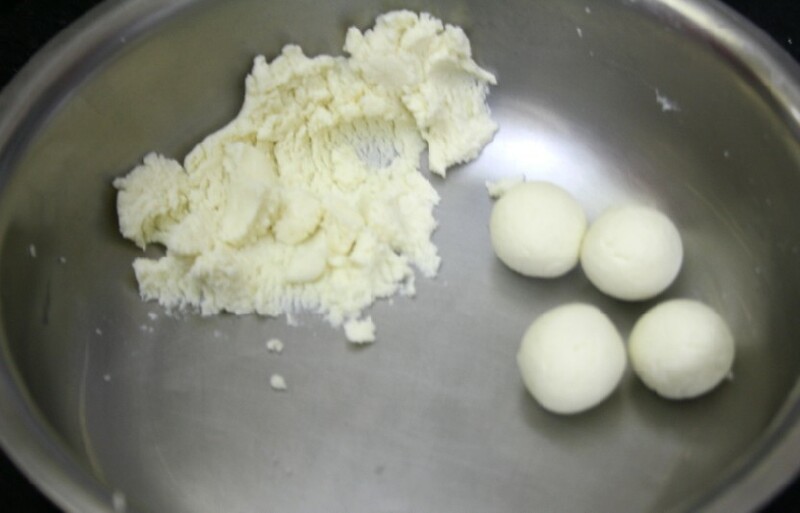 Knead the paneer with All purpose flour and make equal balls of the size as seen in the picture. When you have all the dough made into balls, you will have something like this. Until it is almost done. Squeeze out the excess sugar from the balls. Finally add the paneer balls into the Milk Syrup and refrigerate until it is served. I did with just 1/2 liter Milk for paneer. I followed the normal way I make Paneer. Lavi recommends storing the whey water, though I normally have not used it much. Since I used a skimmed milk, I didn’t get much of the fat from the milk. I directly proceeded to make the paneer. 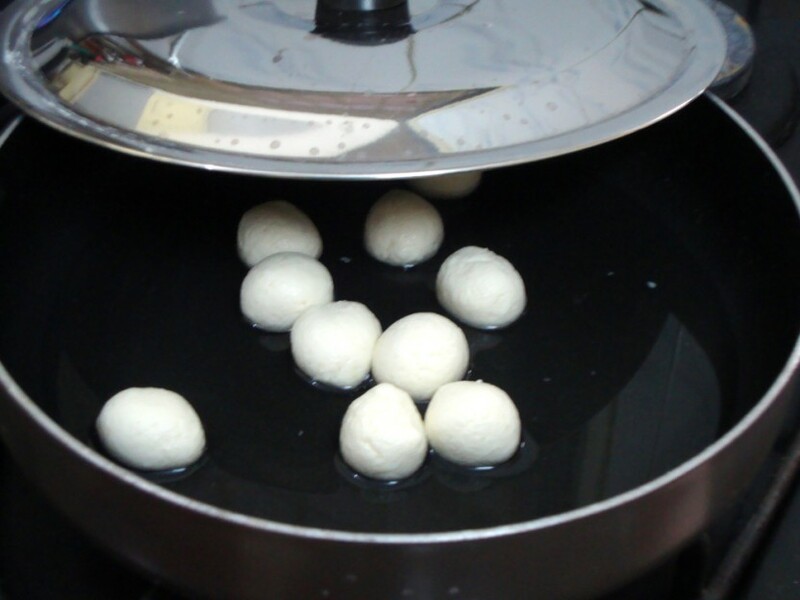 If you are ready to make the balls right away, then allow the paneer to hang for 15 mins, proceed right away. Else store it in fridge and thaw it before using it. I stored it overnight and thawed for 30 mins before making the balls. I used a non stick wide pan with lid for making the Sugar Syrup. Add 2 cups of water and 4 tbsp of sugar. Let it boil. 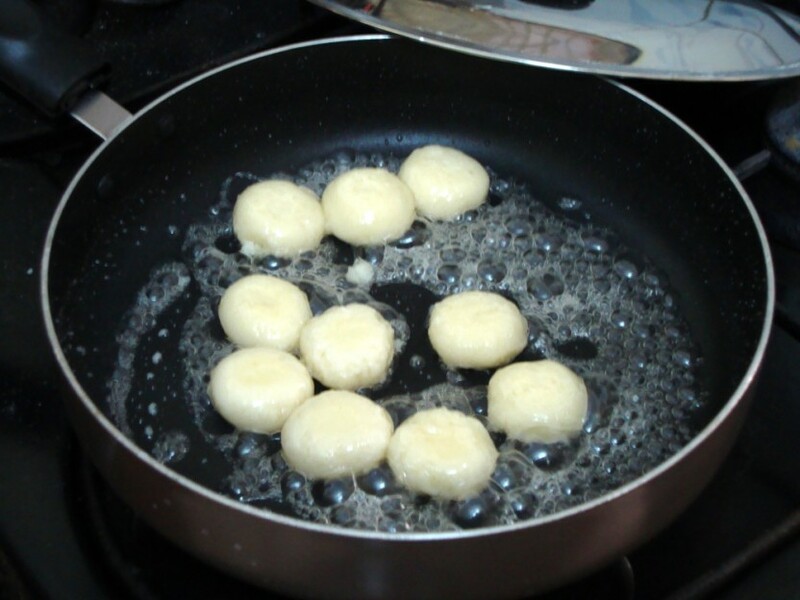 When it starts boiling, gently add the paneer balls. Simmer the flame and cover with the lid. I thought it might break but fortunately it held its shape. Cook for 10 minutes in slow flame. The water almost got absorbed, I didn’t have much to squeeze out. You can start making the Milk Syrup, when you are doing the sugar syrup. 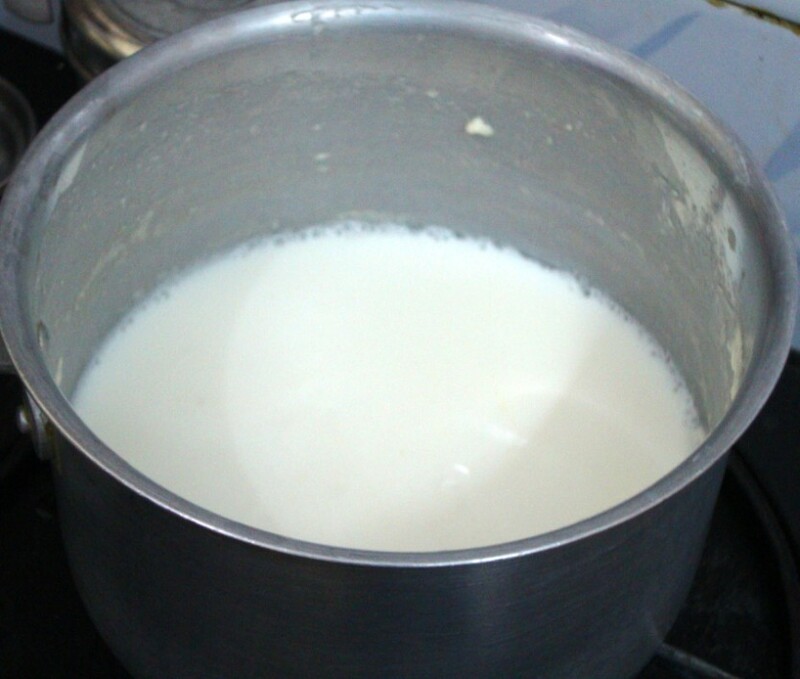 Take milk in a wide bottomed vessel and let it boil and get reduced into half of the quantity. Add sugar and mix well. Soak the saffron in hot milk and keep it aside. When the milk is almost thick, add the condensed milk if you have in hand. Then goes the saffron to the milk. Put the paneer ball’s into the rasa/milk syrup. cool it down and refrigerate. Serve with chopped nuts on top. Notes: Mine wasn’t as spongy as it should be. Maybe it had to do with the paneer not being very soft. Will have to try again to get the spongy Ras Malai. 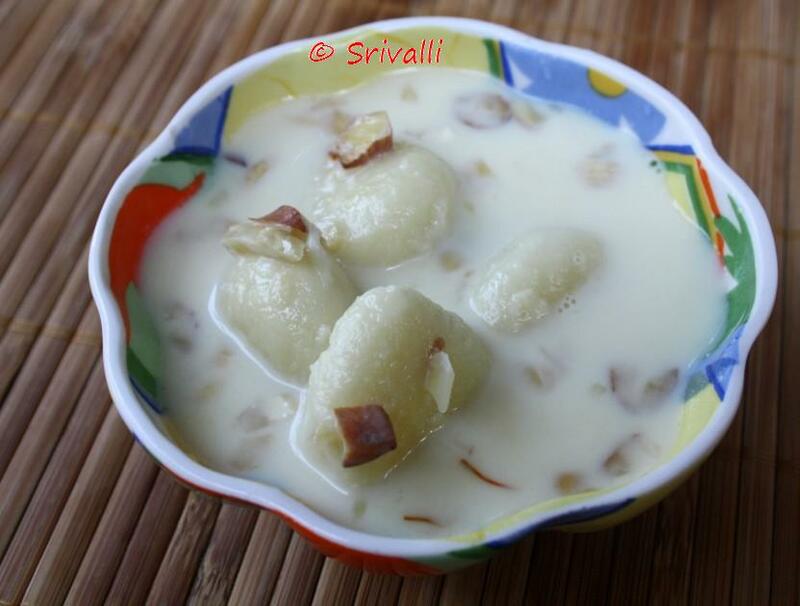 To all my ICC members, please link your Ras Malai post to Mr. Linky. Thats a wonderful presentation srivalli!! enjoyed making this Delicious Dessert!! Just posted my link. Your ras malai looks delicious. I used a short cut to prepare the ras… I used half & half to prepare the ras, rather than reducing the milk to half its quantity. Half & Half is mixture of milk and cream. Awesome recipe! I got back from a business trip on 14th night. Couldn't make it. Rasmalai look yummy.. Great Challenge. Looking forward to next month's ICC. Mine turned out well Srivalli. The only thing was they were not spongy but were softer. Even my daughter who is not fond of sweets liked it. I found that about 6 Tbsp sugar was more than enough for the rasa. Also I wondered when I saw the recipe at ICC, why the milk needs to be refrigerated for 12 hours. I see that you skipped that step. Can I update my recipe as well skipping that step? ras malai is one of my favorite things! 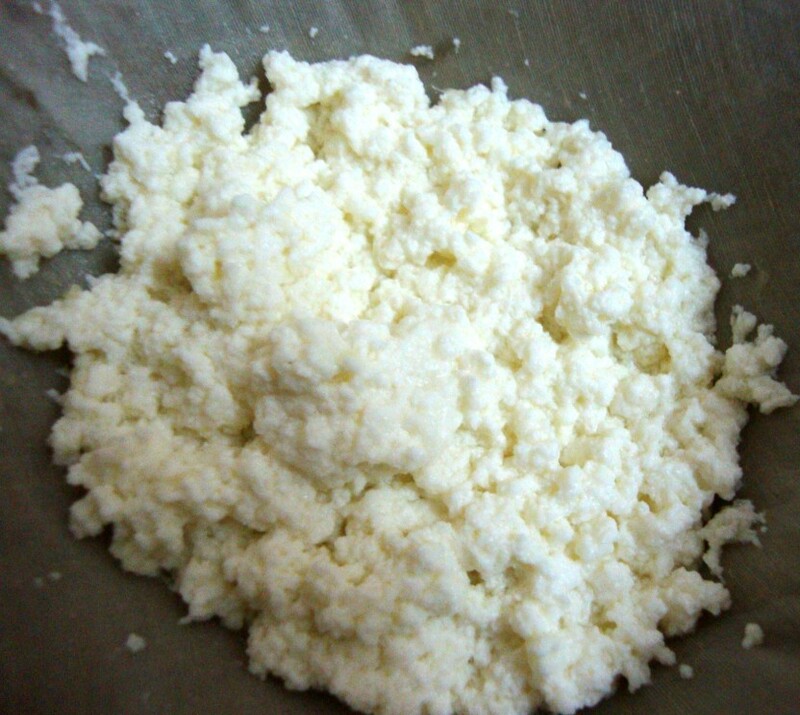 i will try to make it wiht my own paneer next time; thanks for the step-by-step! Thanks for the challenge Valli. It was delicious. My 1st attempt at rasmalai and I am pleased to say got good results as the instructions were easy and simple to follow.Thanks Lavi and Srivali for the challenge. Linked mine. Beautiful step-by-step pics. Waiting for the next challenge. Ras Malai looks really perfect. I love making it tooo. Thank you friends! I am glad this was a hit again. Divya, well even mine was not spongy. Lets work on this again. Suma, good to know that. Pls do update the post as how you made it. Pallavi, Welcome to my space, thanks, glad you enjoyed reading them. Do stop by again when you find time! My 1st attempt to make Rasmalaai at home. Came out excellent. Tks a lot for the step by step instructions. Thanks for this recipe. I just added my link. Rasmalai looks so spongy. 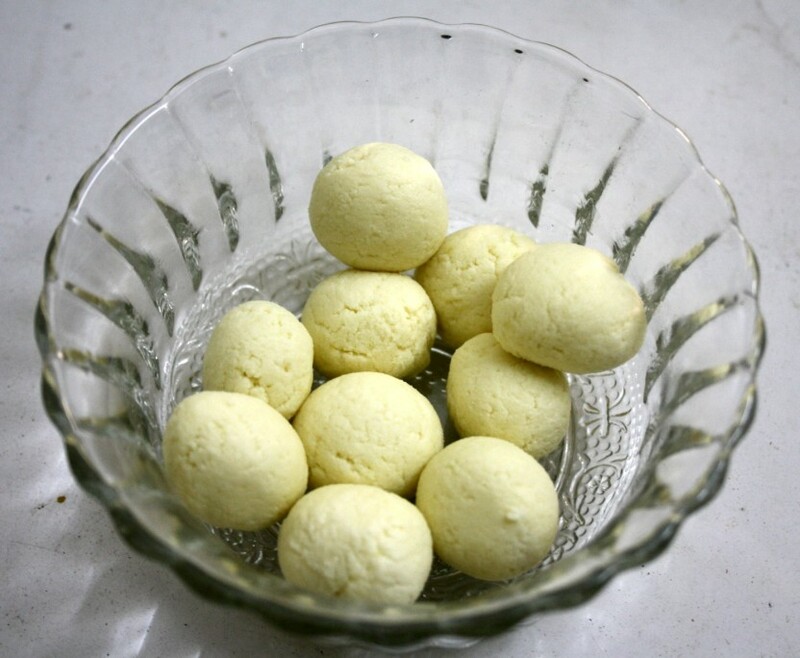 Valli yours looks delicous …for me it looks like perfect rasmalai Patties with spongy texture ..
Is it really as easy and tasty as it looks? Wow…must try. Very luscious & tempting….. Kudos!!!! Sorry to have missed this month's challenge 🙁 Rasmalai is one of my most enjoyed sweet dishes. However, with your step by step pictorial, I sahll have a ready reckoner now! They look so well turned out! yummy!!!!! Can I take the whole bowl for myself!! I love bengali dishes. Never tried only with paneer, I usually use egg! !